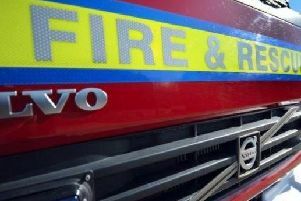 A teenager escaped injury when she had to be rescued by firemen after playing on a roof that was "cracking" beneath her. Police and fire were called to Portland Close in Daventry at around 8pm. Two girls had been playing on the roof and one had to be safely taken down by the fire service. "Police and fire were called about this at 8pm last night," said a Northamptonshire Police spokeswoman. "The roof was cracking when we received the call. "Thankfully no one was injured."